"As a visual communications student, I earned a National Endowment for the Arts scholarship to study abroad and participated in a highly successful internship that led to a growing business. The program prepared me for transfer and provided a foundation to explore further opportunities in art and design." A picture is worth a thousand words. That helps make visual communications an important part of our lives and an exciting and rewarding field of study. Why Visual Communications at SUNY Orange? SUNY Orange prepares its visual communications graduates for entry level positions in a variety of fields or for successful portfolio reviews leading to acceptance into four-year B.A. or B.F.A. programs. Dedicated and experienced professors teach a broad array of studio art and art history courses, and our practicum course offers students valuable internship opportunities. Qualified BOCES candidates can receive credit for some first-year courses. 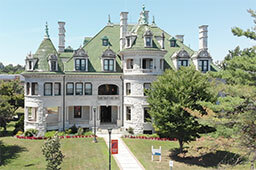 SUNY Orange has a transfer agreement with Cazenovia College, and students have successfully transferred to the Fashion Institute of Technology and SUNY campuses at Albany, New Paltz, Oneonta and Purchase. You will obtain an affordable, high-quality visual communications education close to home, provided by a dedicated and experienced faculty. Take advantage of a balanced academic program blending traditional studio and art history courses with current technology. You can participate in expanding internship opportunities to help prepare you for your future. The College is committed to making ongoing programmatic improvements that increase support for our students and enhance their success. You will acquire skills that prepare you for employment or pursuit of a four-year degree. The Associate in Applied Science degree program in Visual Communications Technology: Graphic Arts/Printing prepares graduates in all aspects of visual communications and graphic design. These include layout, production, typography, commercial print processes, illustration and computer graphics for entry level positions in graphic design, printing, publishing, desktop publishing, advertising, marketing, presentation graphics, game design, animation, multimedia and communications. As a result, the program prepares students for successful portfolio reviews leading to acceptance into B.A. or B.F.A. programs. Beginning with Visual Communications 1, students are introduced to Visual Communications theories, graphic design principles, elements, typography, influential persons and contemporary digital media. The curriculum offers sequential Visual Communications and Graphic Design courses, complemented by a broad offering of studio art and art history courses. After taking core courses in the first year, the student selects a concentration area in either Photography, Painting or Figure Drawing in the second year. Concurrently, the student completes the Visual Communications course sequence culminating with Viscom 4, the portfolio development course. Our Practicum course offers the Viscom student the opportunity to experience an internship with local businesses or departments within the College. Through an articulation agreement, qualified BOCES candidates can enter the A.A.S. degree program, and receive credit for certain first-year courses. After completing the program, students may either enter the workforce or transfer into a bachelor’s degree program. Detailed course descriptions appear in the course description section of the College catalog. Please note that not all courses are offered in the evening. be prepared for entry level positions in visual communications and/or placement in upper-level programs of study. know fundamental concepts and processes of visual communications and graphic design. have a basic understanding of the visual communications industry and career opportunities in the field of visual communications. be proficient in industry standard technology including hardware and page layout, digital imaging, vector drawing, presentation and web design software. produce a portfolio appropriate for entry level roles in visual communications and/or continuing education in upper-level programs.